We are looking forward to meet you in Greip™ Forum! 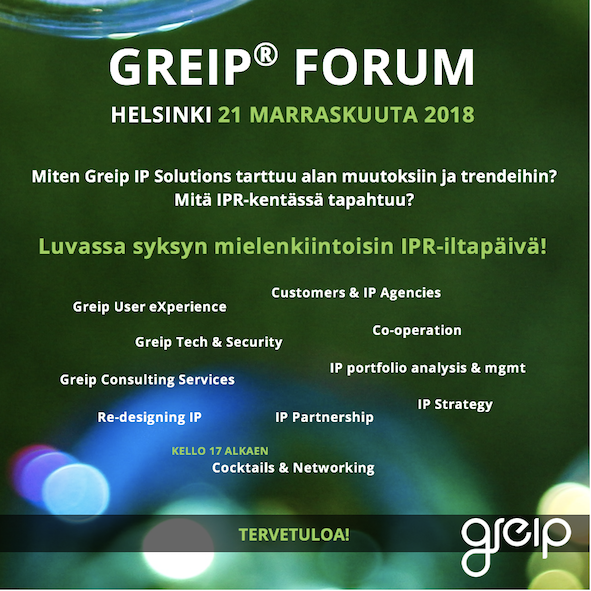 We look forward to meet you in Greip™ Forum on Wednesday 21st November 2018, 13-19 FI time, in Helsinki. Check out the program and register to the event! The event is held partly in Finnish.